Ready to go on a journey of jostling energy, drink a cup of urgency pressed and bottled in the chilly Japanese city of Sapporo, elbow your way into some space on the dancefloor and buss out the hardiest and most robust of your two-stepping prowess? 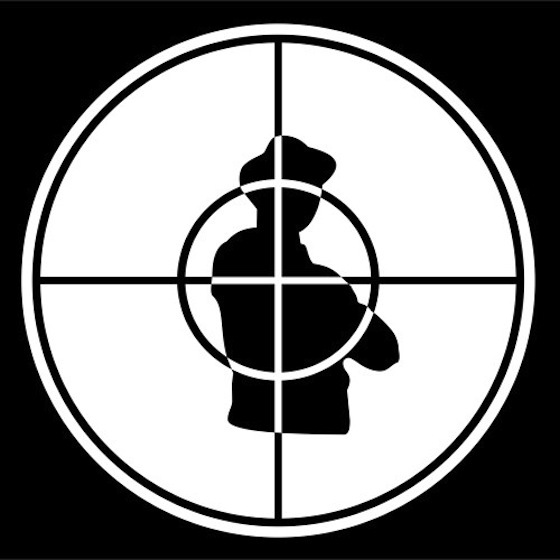 Because that's what you're gonna get with 'Public Enemy' by BUDDHAHOUSE. I've already mentioned the city, but yes, BUDDHAHOUSE is a self-professed "DJ, beatmaker" from Sapporo, which is on the "wild frontier" island of Hokkaido, Japan. And this track, like I mentioned, is a wonder of energy and urgency, of no-nonsense, no-frills, wild dance-only music. Dissect it and you'll find – within a dynamic ebb and flow of drops and build-ups – its punchy punchy kicks, its marching snare drums urging you abrasively into rowdy dancefloor formation, rolling toms adding warlike pugilistic flavour, jangling jingling scathing hi-hat noises crashing together like a box sharpened swords going down a slide, its cutting synth chord pattern sweeping over the bustling bang of the beat. Shuddering galloping aggressive house with retro ornamentation; imagine someone breakdancing to this in the snow at the side of a road as confused cars slow down to watch. Two great parts: at 2:53, a turntablist record scratch bookends a slice of slow amen beat bustle, before the shout of "Somebody in the house say 'yeah! '", which is sampled from Public Enemy's 'Caught, Can We Get A Witness?' and thus giving BUDDHAHOUSE's track its name. And from 4:28 onwards, where there's this tiny rising-and-falling bleepy melody that really really reminded me of the tiny bleepy melody in the breakdown bit of the theme for Stage 2 from Streets of Rage. And look, here's a free download of 'Public Enemy' for all your listening and body-moving needs.